Electricity keeps us moving forward. 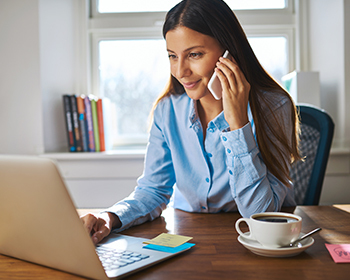 Whether you’re a homeowner or a business owner, you must be able to count on your electrical system to supply the power you need. Unfortunately, issues sometimes arise. When you find yourself in need of repair, renovations, or upgrades, reach out to Mission Electrical Contractor. Established in 2010, we’ve earned a reputation for honesty and exceptional work during our years as a licensed electrical contractor in Hemet, CA. As a small, locally owned business, we’re dedicated to your satisfaction with our electrical solutions. Don’t let a lack of power slow you down. From getting ready in the morning to pulling all-nighters, you need easy access to electricity you can rely on to be there when you need it. 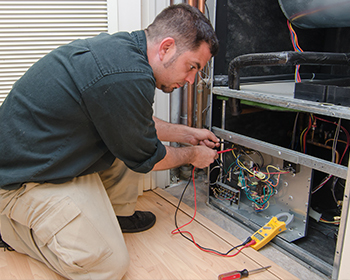 Our team is here to ensure you always have the power you need in every room, providing everything from emergency repairs to renovation and room addition assistance. You can’t trust just anyone in your home. We understand your concerns, which is why we carefully screen and train our staff. By hiring us as your home electrician, you are hiring a crew with proven professionalism and extensive hands-on experience. Enhance the value and safety of your property with our electrical services. Reliable electricity is crucial for business efficiency no matter what industry you’re in. 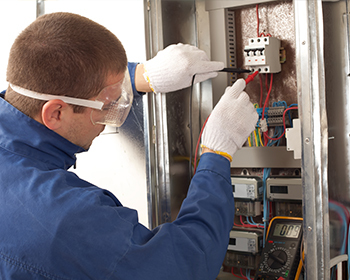 Whether you need quick repairs or up-to-code installation services, your company is in safe hands with our electricians. Knowing where to begin is the first step for solving any electrical issue. Schedule a visit from our team to have your property examined and get the answers you need to make an informed decision. From diagnosing problems to recommending the best installation options, we’re committed to accuracy you can trust and insight you can use. Furthermore, price and time estimates are always available for every job. Talk to our commercial and residential electrical contractors today to find out how much your project will cost and how quickly it will be completed. Contact us to request a visit from one of our skilled electrical technicians. We proudly serve residential and commercial clients throughout Hemet, California, and the surrounding areas.